Yoga Vela Studio offers yoga classes, group events, and private sessions on Galveston Island, Texas. We also host retreats in Mexico and launch yoga communities for churches, kids, seniors and those breaking free from addictions. Contact us for more information, to partner with us, or to invite us to visit your group. This 75-minute class will include breath-work, postures, and a guided meditation from the Bible. 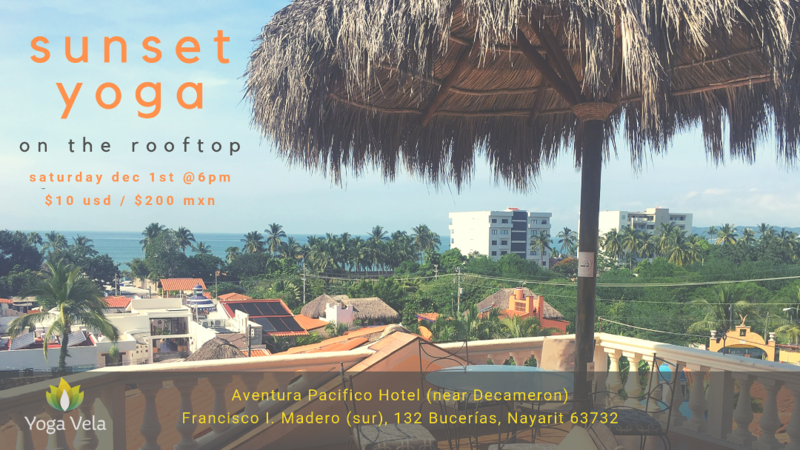 Sunset Yoga on the Rooftop of the Aventura Pacifico Hotel. Please visit our Facebook page for Events in Mexico. We are currently serving communities in Nayarit: Bucerias, Compostela and Tepic. Visite nuestra página de Facebook para el horario de clases en México. Actualmente sirviendo comunidades en Nayarit: Bucerías, Compostela y Tepic. Sarah began practicing yoga at home in her living room when her children were young. While living in Mexico in 2015-16, her yoga practice deepened. Sarah completed her 200-hour training in the spring of 2017, followed by a Trauma Sensitive certification. She is currently completing a certification in Yin Yoga. Her passion is helping people incorporate yoga as a part of their healing process. Erik attended his first yoga class in 2013 on a cruise ship in the middle of the Pacific Ocean and began to gain flexibility and experience relief from tight muscles common to distance runners. Erik completed his 200-hour training in 2017 and 300-hour training in 2018. He currently teaches in Galveston and frequently travels to Mexico to launch yoga communities at rehab facilities, orphanages, seniors clubs, and churches. 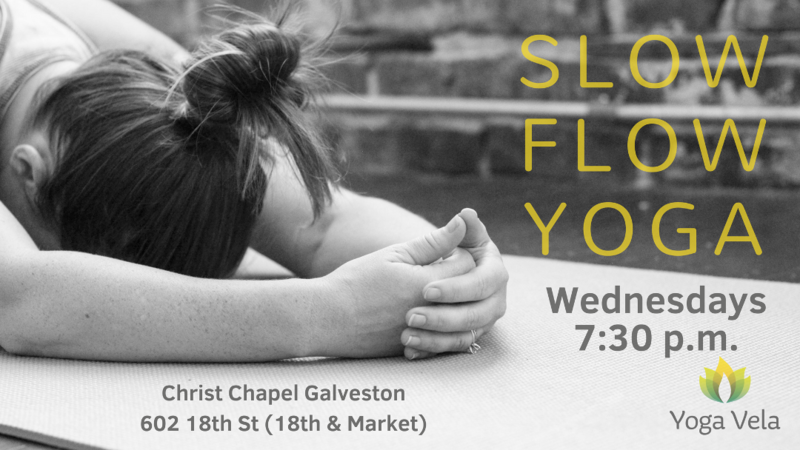 Wednesday evening classes in Galveston meet at Christ Chapel 402 18th Street (18th and Market). Community classes and Retreats in Mexico are held at Aventura Pacifico Hotel in Bucerías. Clases públicas y Eventos en México están en Aventura Pacifico Hotel, Bucerias, Nayarit. Have a question? Need to get in touch with us? Use the form below to send us an email or connect with us on Instagram or Facebook. Do you accept the aggrement?